The Eight Propositions by McGuire, Emio Greco and Pieter C. Scholten and Til 120, Again by Idan Sharabi. World premiere of Waltz by Sylvain Émard and Slaughterhouse/Requiem by Belinda McGuire. Anthem for the Living by Sharon B. Moore, performed by McGuire, see Guelph Dance Festival site for complete program information. Helga Davis: My Favorite Things. McGuire as one of many collaborators, appearing on-screen. Cello Counterpoint by Belinda McGuire, performed by McGuire. The Festival, produced by BMDP, features work by Idan Sharabi, performed by Idan Sharabi & Dancers, and a preview excerpt from McGuire's solo Slaughterhouse/Requiem. Informal showing of three solos by Idan Sharabi, danced by Sharabi, Troy Ogilvie and McGuire. Limited seating, must contact belindamcguire@belindamcguire.org to reserve. Showing and discussion of new and vintage solo works by McGuire. As a part of this work-in-progress showcase, McGuire will perform an excerpt from her newest solo, Slaughterhouse/Requiem. Informal culmination-of-residency showing, featuring preview performances of new solo works by Sylvain Émard and Belinda McGuire. Limited seating, must contact belindamcguire@belindamcguire.org to reserve. 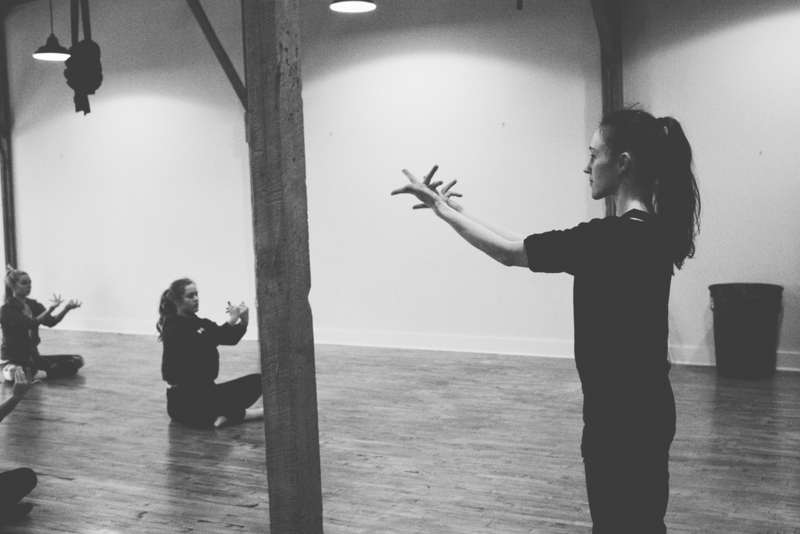 Please join Springboard Danse Montréal in discovering the work of seven international, hand-selected choreographers. This is a FREE performance open to the public. Featuring an excerpt from The Eight Propositions by Belinda McGuire in collaboration with Emio Greco and Pieter C. Scholten. Springboard Danse Montreal's 15th Edition! Featuring the work of 10 Prinicipal Companies, 7 Emerging Choreographers (including an ensemble work by Belinda McGuire, performed by the Springboard dancers) and 114 professional dancers from all over the world. Due to limited seating, RSVP is a must. Free admission. Donations are welcome. Informal culmination-of-residency showing, featuring work/work-in-progress by Sylvain Émard and Belinda McGuire. Limited seating, must contact belindamcguire@belindamcguire.org to reserve. Including "Three Muses", a full length solo program curated and performed by McGuire. The Festival, produced by BMDP also features independent programs by Joshua Beamish/MOVE: the company, LoudHoundMovement, and several mixed program performances, featuring all three companies. teaching at New Dialect. Photography by Eden Frangipane.